OS 10.8, the eight major release of Apple's desktop operating system has been released! The new cat, dubbed Mountain Lion sports over 200 new features. Some of the major features include iCloud tab syncing, documents in the cloud, Notification Center, and iMessage for the Mac, and Siri-like dictation. See all the new features on Apple's website. 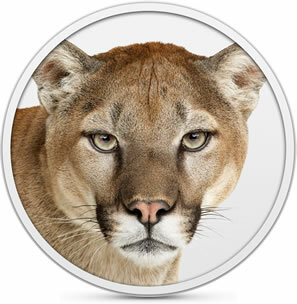 We've been hearing a lot about Mountain Lion for the past six months, as Mountain Lion has been in beta for developers. But now it is finally being released to the masses! Get it on the Mac App Store today for only $19.99!